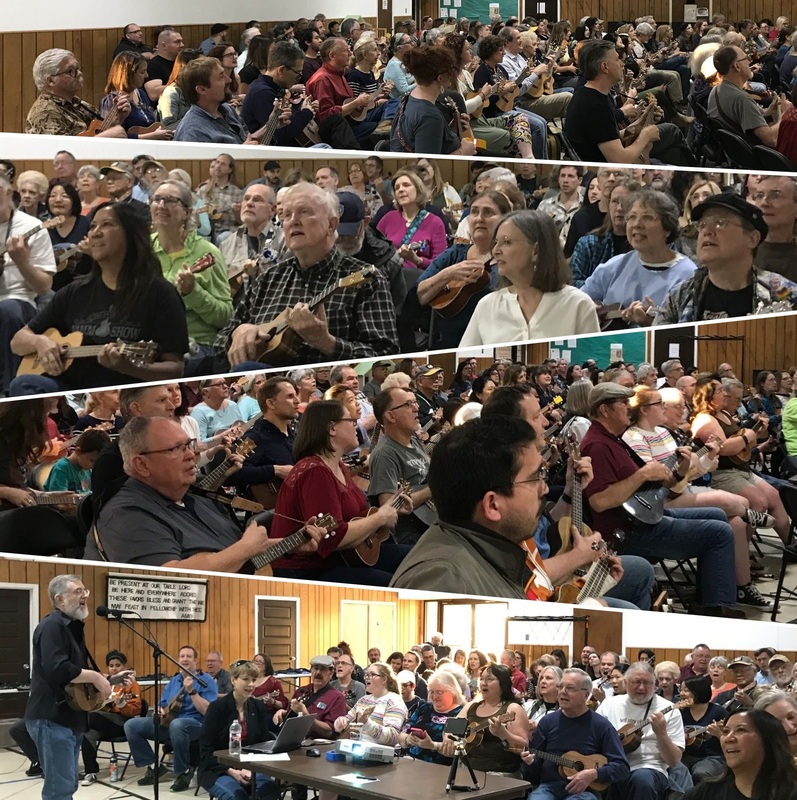 On a beautiful and breezy spring evening, ukulele players both local to Austin and visiting from points all around the U.S. for SXSW or spring break, participated in the wonderful music community that makes up the Austin Ukulele Society. Folks enjoyed getting to know each other before we kicked off the meeting with introducing ourselves, sharing local ukulele events and playing our warm up song (Bob Marley’s “Three Little Birds.”) Our Bob G. then jumped into demonstrating our arrangement of Florence + the Machine’s 2015 infectious hit, “Ship to Wreck.” He took the group through helpful exercises for each section of the song, getting us comfortable with the strum pattern, chord progressions, picking parts, vocal styles and harmonizing options. When we played the song through, our playing and voices were melodic and strong. 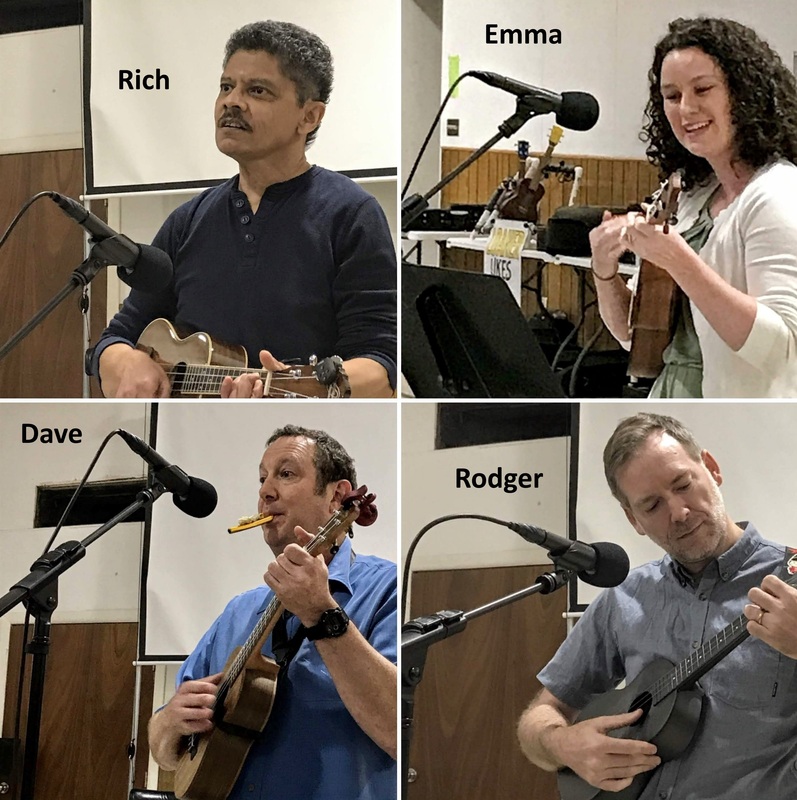 To play along with us, you can download the lyrics and chords for our arrangement of “Ship To Wreck” or download a copy of the presentation and instruction guide (what we project on the screen for all to follow along, including exercises and drills). As usual, we took a break to enjoy some very talented friends share the songs they’d prepared for the open mic portion of the evening. A huge thanks to Rich, Dave, Emma and Rodger for playing beautiful renditions of songs we could all appreciate. 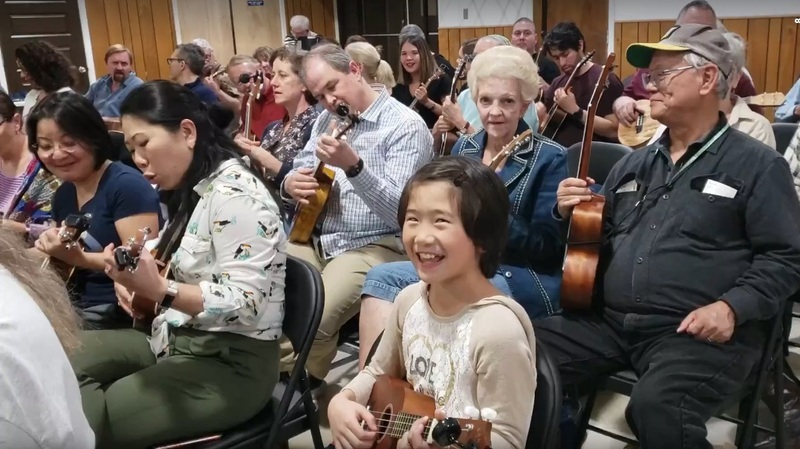 This entry was posted in AUS activities on March 18, 2019 by Austin Ukulele Society.